The new in-wall and in-ceiling speakers are designed to work with the Sonos Amp and are expected to be available starting on February 26th. 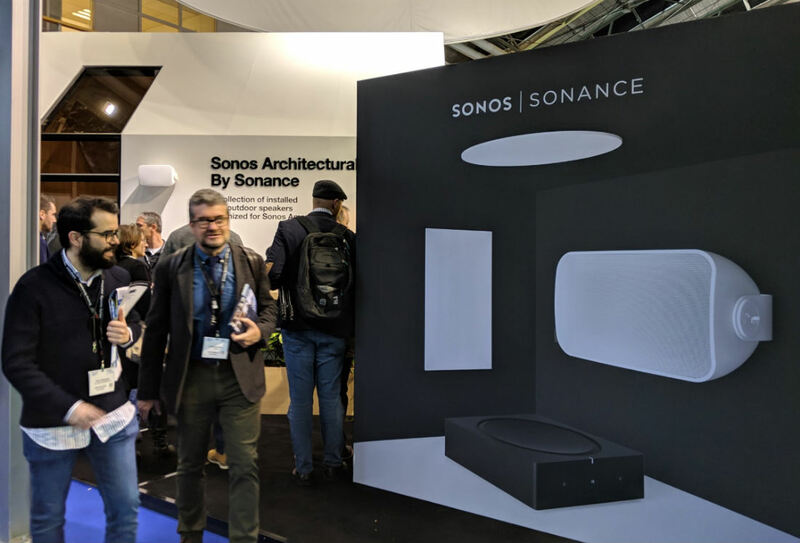 Sonos and Sonance announced the pricing and availability of the new in-wall and in-ceiling speakers during ISE 2019 in Amsterdam. 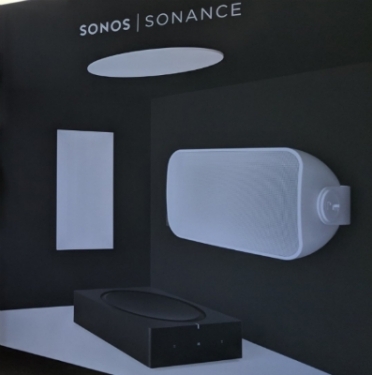 Back in September, CE Pro reported on Sonance, a leading loudspeaker manufacturer in the smart-home installation channel, making at least three new products optimized for the new Sonos Amp. During ISE 2019, the two companies announced pricing and release information. The new products are installed, passive speakers for indoor and outdoor use, and are designed and optimized for use with the Sonos Amp. The in-wall and in-ceiling speakers are available for pre-order now, with general availability expected to begin on February 26 with availability for Sonos Outdoor by Sonance starting in April. The Outdoor speaker is the first Sonos speaker designed for outdoor use and features a weatherproof design engineered to withstand a wide variety of environmental conditions. When paired with Sonos Amp, the In-Ceiling and In-Wall speakers’ hardware signature unlocks Trueplay which accounts for the size, construction, and furnishings of the room where the speakers are placed, and automatically adjusts the EQ for optimal sound. A connection to the Sonos Amp gives users the ability to stream many popular services to the speakers, with Apple AirPlay 2 control also included. Additionally, up to three pairs of Sonos Architectural by Sonance speakers can be powered by a single Sonos Amp. The $599/pair In-Ceiling speakers bring music into any room and are ideal for spacious, ambient listening and feature specially designed round, or optional square, grilles which can be painted to match the ceiling, according to Sonos. The $599/pair In-Wall speakers bring targeted, immersive sound for home theater. Sonos says that like the In-Ceiling speakers, these speakers feature specially designed grilles which can be painted to match the wall. The $799/pair Outdoor speakers are engineered to withstand humidity, water, salt spray, heat, UV rays, and freezing temperatures, says Sonos. In addition, Sonos has revealed its new Amp is now available for purchase for $599 in the U.S, Australia, Canada, and Mexico, and is available for preorder in Europe now with shipping expected to start on February 12.